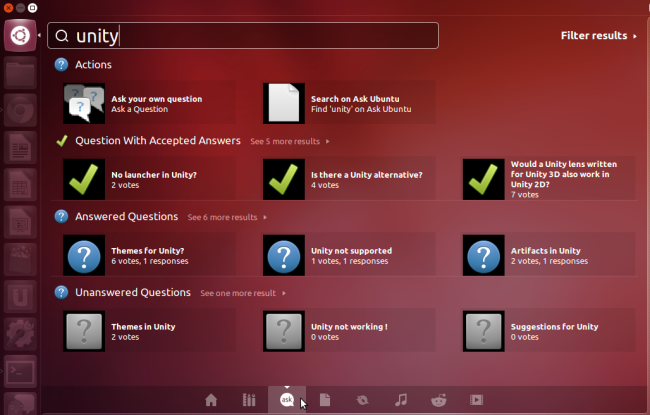 The dash on Ubuntu’s Unity desktop allows you to search for applications, files, music, and videos – but you’re not just limited to these. Install custom lenses and scopes to extend the dash with more features. Most additional lenses and scopes are currently found outside the official repositories. Unfortunately, many useful lenses, including the dictionary lens, books lens, and Tomboy notes lens, aren’t yet available in PPAs for Ubuntu 12.04. Click the Filter results link within a lensto narrow your search. The options here depend on the lens — for example, the video lens introduced in Ubuntu 12.04 allows you to specify the video websites you want to search. This should give you an idea of the power of lenses — they can search both the web and your computer. Scopes are search backends for the lenses. For example, the music lens has Rhythmbox and Banshee scopes, which allow it to search these two music applications. You could add a Spotify scope to search Spotify from the music lens. Unity doesn’t automatically detect new lenses and scopes after you install them. They won’t appear until you restart Unity by logging out and logging back in. The Ask Ubuntu lens searches the Ask Ubuntu website. If you have a problem with Ubuntu – or a question you want answered – you can use the lens to find information directly from the Unity dash. The Reddit lens lets you browse Reddit directly from the Dash. It also adds content to the home lens, so you’ll see new content from Reddit whenever you pull up the dash. The Calculator scope notices when you type arithmetic into the search box in the dash and displays the result – you don’t have to do anything special. The calculator uses the same backend as the GCalctool calculator included with Ubuntu. The city scope detects when you enter the name of a city and displays information about that city, including its weather and time. This plugin, along with the calculator plugin, shows the potential for Unity and the dash to do more than just basic searches. 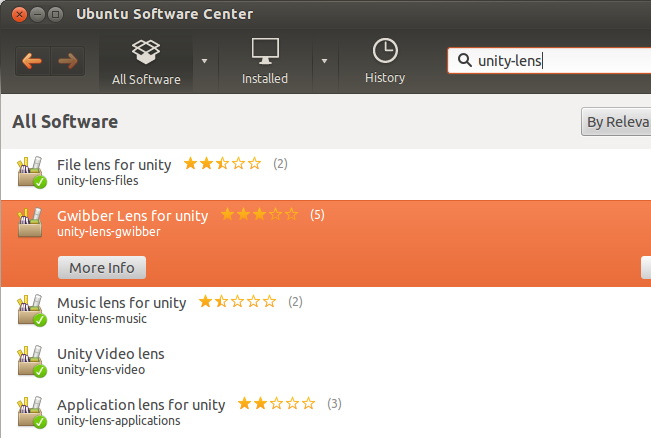 Search for unity-lens in the Ubuntu Software Center and the only lens you’ll find in the default repositories is the Gwibber lens. 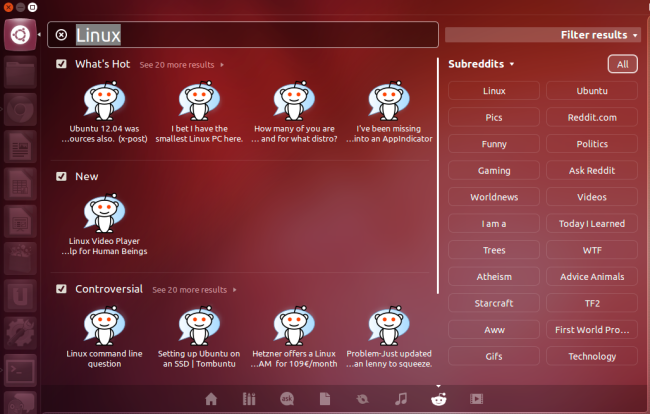 Gwibber is the default social media application included with Ubuntu — it supports Twitter, Facebook, and other services. To set it up, click the mail icon on the panel at the top right corner of the screen and select Set Up Broadcast Accounts. 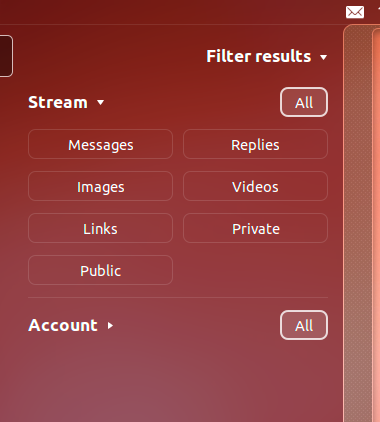 This lens searches your Gwibber stream for status updates, images, and other information — use the filters to search for specific types of information. Do you use another useful lens or scope? Leave a comment and let us know about it.